A classic - it is fun to serve one’s own version. This one is much lower in sodium than the commercial dressing. Commercial dressings tend to be so high in sodium. 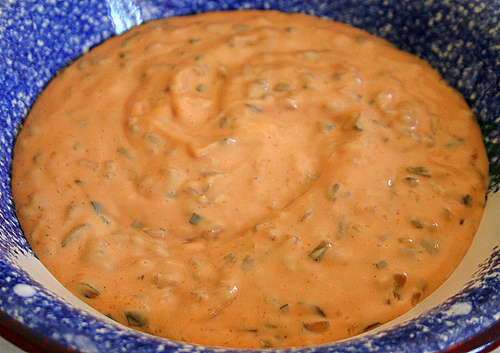 In medium bowl, combine mayonnaise, tomato paste, green pepper, onion, parsley and hot chili powder. Labels: Sauces Jams and Misc.